The Rhodes 19 is a 19 foot (6 m) long sailboat, designed by Philip Rhodes and originally manufactured by O’Day. Currently, the Rhodes 19 is built by Stuart Marine Corp. To date, approximately 3500 of the boats have been built. Available with either a fixed keel or with a retractable centerboard, it is used primarily as a day sailer or for one-design racing. All of the Courageous Rhodes 19s are fixed keel. 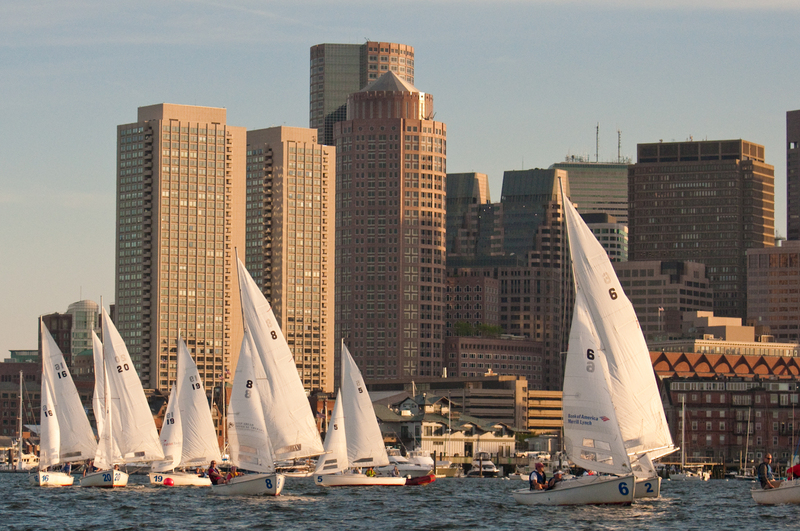 The Rhodes 19 is still actively raced throughout the United States, with active fleets in many Massachusetts locations. Cast Iron Keel 428 lbs. 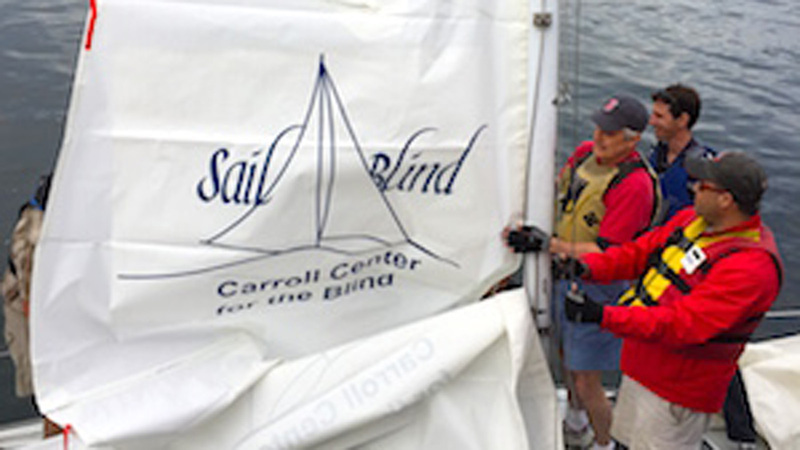 The J/22 is a 22 foot keel sailboat designed by J boats. It is actively raced in yacht clubs in the United States and Europe. The J/22 has a comfortable self-bailing cockpit with 7 ft. long seats and room for 4 people in the cabin to escape the rain or cold. J/22 is built for safety with buoyancy tanks and offshore hatches. Her 700 lb. lead keel lowers the center of gravity, creating nearly 1700 foot pounds of righting moment at 90 degrees of heel. The fastest boat in our fleet, the J/80 provides high performance excitement with a 700 square foot asymmetric spinnaker. 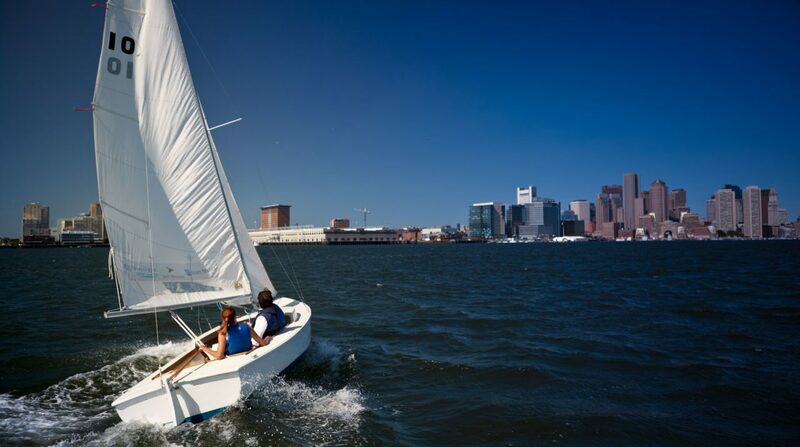 Her 1400 lb lead keel provides excellent stability whether you’re surfing down waves in the outer harbor, or out for an afternoon sail with family. 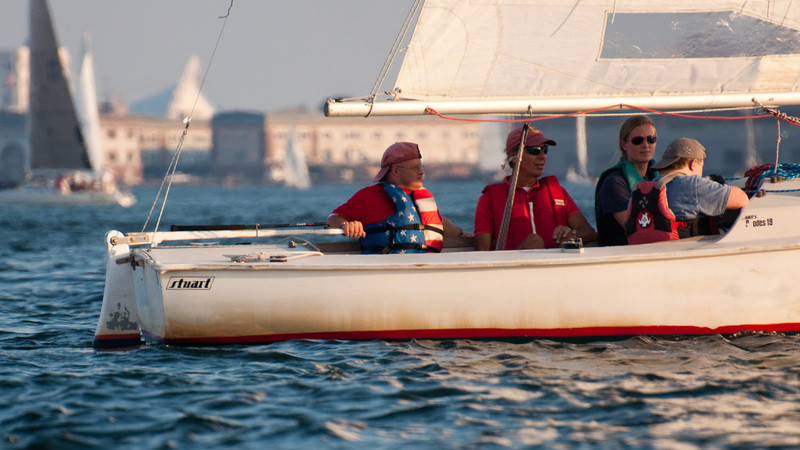 Our J/80s allow members to participate in local PHRF racing, including the Wednesday evening series, with an instructor on board. 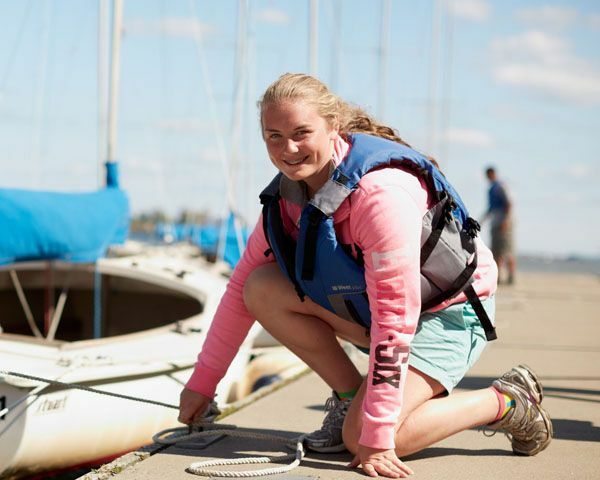 The J/80 is the perfect boat for any sailor looking to take their skills to the next level! 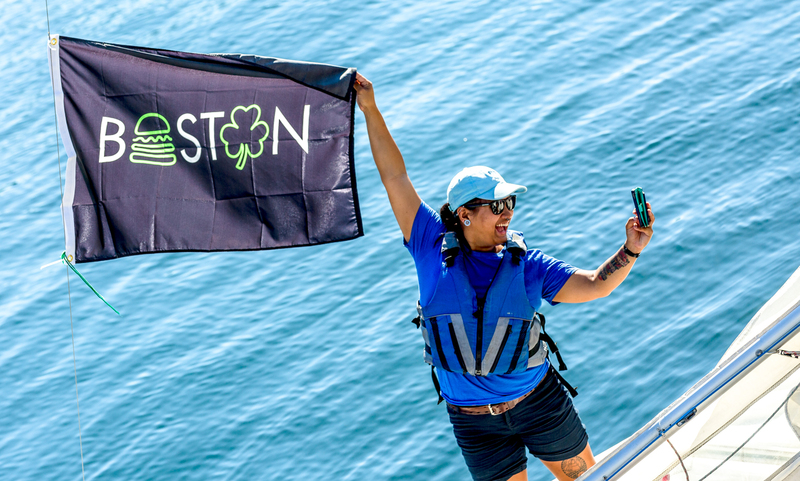 BROOMSTICK is our primary training boat for Basic Cruising and Bareboat Cruising courses. Most weekends she will be out with a crew of 4 eager cruisers under the tutelage of one of our skilled cruising instructors. She is very well appointed above and below deck, making day and overnight sails quite comfortable. 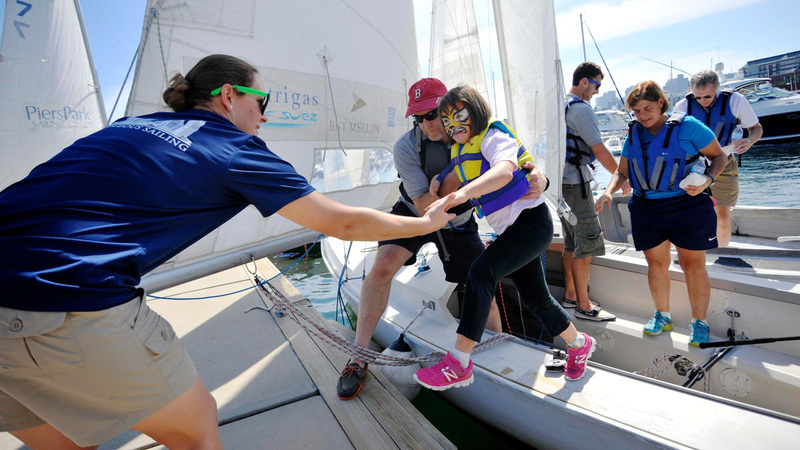 BROOMSTICK is a cruiser first, but she’s been known to enter a few races in the Boston area. Fuel Tank	15 US gal. Fresh Water Tank	25 US gal. Blue Note, our Canadian Seacraft (CS) 30, is a comfortable family boat with a notable turn of speed! As soon as you take the wheel, you’ll understand why she is the most popular 30 footer in our fleet. 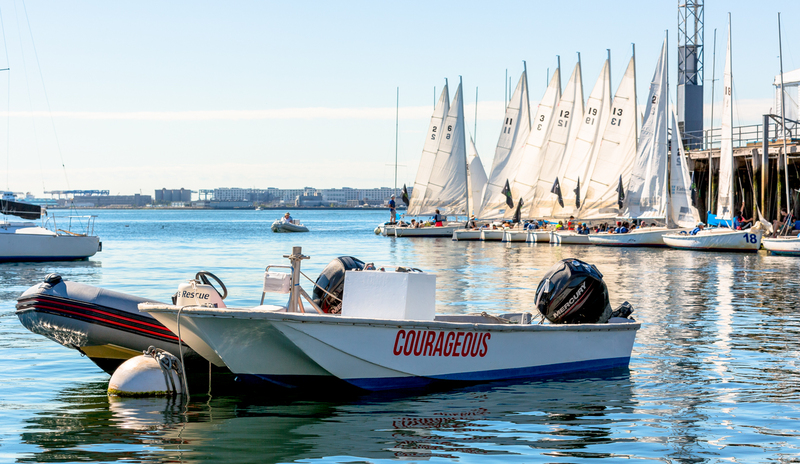 She races PHRF on Wednesday evenings during the summer, call our front desk to see if there is a position available to crew. The CS30 has an excellent reputation as a robustly built and tastefully finished cruiser better know in the Great Lakes than here in the New England. The Tartan 30 is a well respected cruiser, known for its sturdy construction and general seaworthiness. With a skeg-hung rudder and overbuilt hull, these boats are capable of some serious offshore sailing, and are truly in their element when the wind picks up. There’s room for everyone in the generous cockpit, and the tiller steering saves weight and complexity. The main cabin has ample headroom for most at 6′ 1″. Our example has been meticulously maintained, and features a recent diesel saildrive engine rather than the standard (and less reliable) Atomic 4. The flagship of the Courageous cruising fleet, Watermark, is a Pearson 34. She represents a significant upgrade from our 30-footers in terms of interior space and headroom, while retaining the sailing characteristics of a smaller boat. Built for family or couples cruising, she has private V-berth forward, electric marine head, and a user-friendly galley with ample icebox for a multi-day cruise. A capable cruiser and competitive racer, the C&C 35 III Mojito is the largest boat in our fleet. 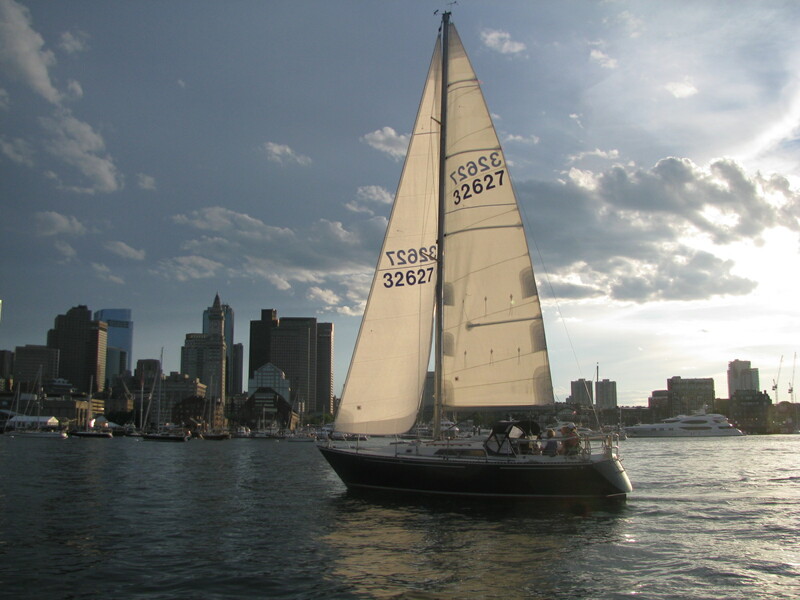 Mojito was built in 1984, and has been raced on Boston Harbor for the last few seasons. The C&C 35 III is known for her exceptional light air performance and pointing ability, within 40º of true wind. She is also a capable cruiser, with berths for up to 7. The International 420 Class Dinghy is a monohull planing dinghy with centerboard, bermuda rig and center sheeting. It is designed for a crew of two. The name describes the overall length of the boat in centimeters (the boat is exactly 4.2 meters long). The International 420 was designed by Andre Cornu in the 1960s as a general purpose two sail, transom sheeted, non-trapeze dinghy, with modest easily handled sail plan. The hull’s seaworthyness and stability at speed proved to be better than most of its contemporaries, and this together with its modest sail area make it fun to sail in heavy weather and thus an excelent youth trainer, qualities that lead to its adoption for that role by the RYA in the mid 1970’s. Thanks to the generosity of the Courageous Community, we acquired a fleet of 12 brand-new Lasers in 2010, complete with Full, Radial, and 4.7 Rigs. 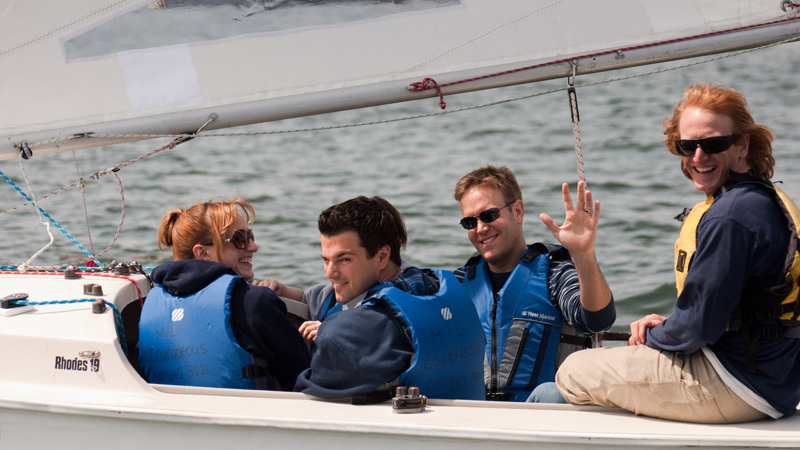 The International Laser Class sailboat, is a popular single-handed, one-design class of small sailing dinghy. The design, by Bruce Kirby, emphasizes simplicity and performance. Now manufactured by Laser Performance, the Laser is one of the most popular single-handed dinghies in the world. 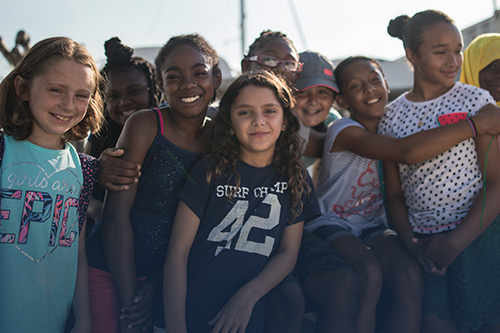 As of 2011, there are more than 250,000 boats worldwide. A commonly cited reason for its popularity is that it is robust, simple to rig and sail. The Laser also provides very competitive racing due to the very tight class association controls which eliminate differences in hull, sails and equipment.